Simple homemade Christmas ornaments are the best! 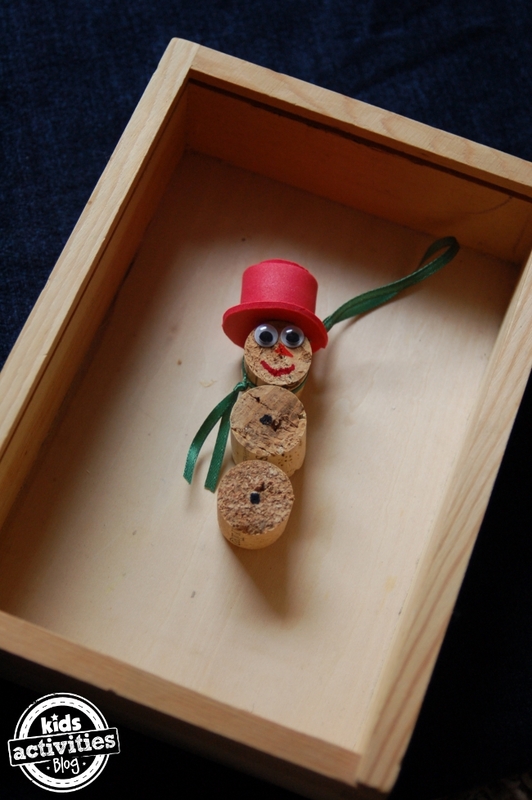 We have a collection of corks that the kids and I have been itching to craft and use to create. We made two different ornaments using our corks! Arrange all but two pieces of the cork circles into a pyramid. Tie the ribbon around one of the cork ends and use that as the “tree topper” – glue that piece onto the top of your cork pyramid. Use one of the remaining pieces and glue it on as a tree trunk. Foam sheet – we picked the color red for our hat. Cut two dime sized circles from the foam. Then cut a 1/2 inch wide strip of foam from the foam sheet. Cut a quarter circle out of the foam. Wrap the foam strip around one of the dime-sized-circles. Use the remaining small circle as the “top” of the hat. Attach that to the larger quarter-sized circle of foam. Tie the ribbon around one of the cork circles, leave some remnant “hanging” from the ribbon as a scarf for your snowman. Glue three of the cork circles together ontop of each other. Place the top hat on your snowman. Add face features and buttons with the markers. Make a mini tree ornament using tiny cork bits. 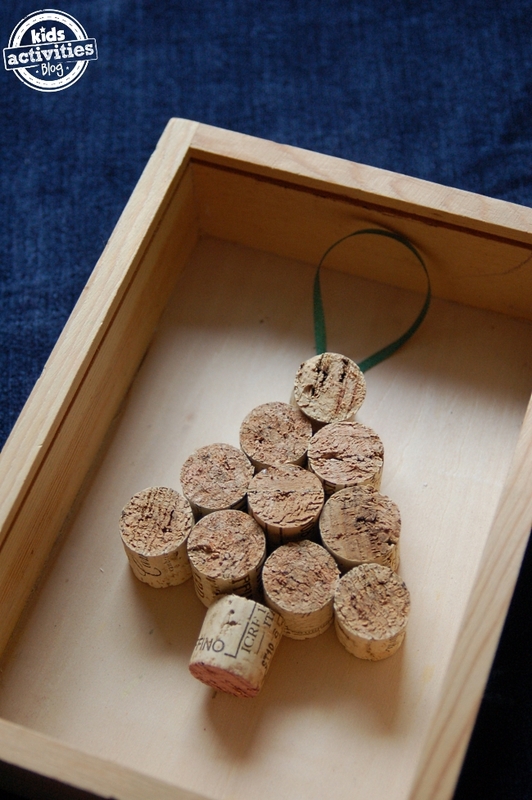 Create a tabletop cork tree using full-size corks. These Cork Angels are adorable ornaments. Previous Post: « Breakfast Cookies – Yep! Your crafts are amazing and original! 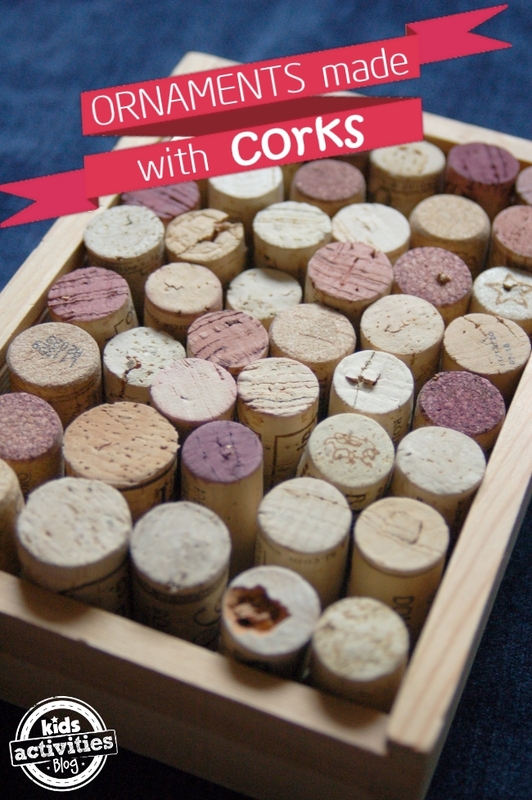 We have lots of corks at home – perhaps we’ll try one of these! Thanks again for sharing with Afterschool! Great recycled ornaments. Just so happen to have a bag of corks my mom gave us! Featuring this on the Thoughtful Spot Blog Hop #16! These are so cute! We have some cork reindeer ornaments on our tree that I made when I was a kid. Pinning! These are so cute! What a great way to reuse corks too.